Traditional domestic ventilation systems are ‘positive pressure’. They bring air in from outside via the roof space and force the stale air out through gaps around windows and doors. The incoming air from these systems has to be heated or cooled to keep the house warm in winter or cool in summer. 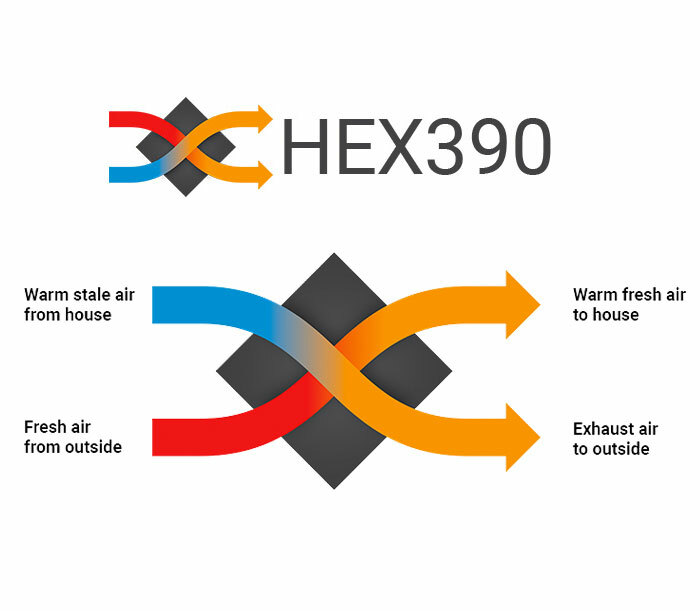 The HEX390 is a ‘balanced pressure’ system. It extracts air from the house and at the same time brings fresh air in. These two streams of air pass through a heat exchanger, which warms incoming air in winter and cools incoming air in summer. 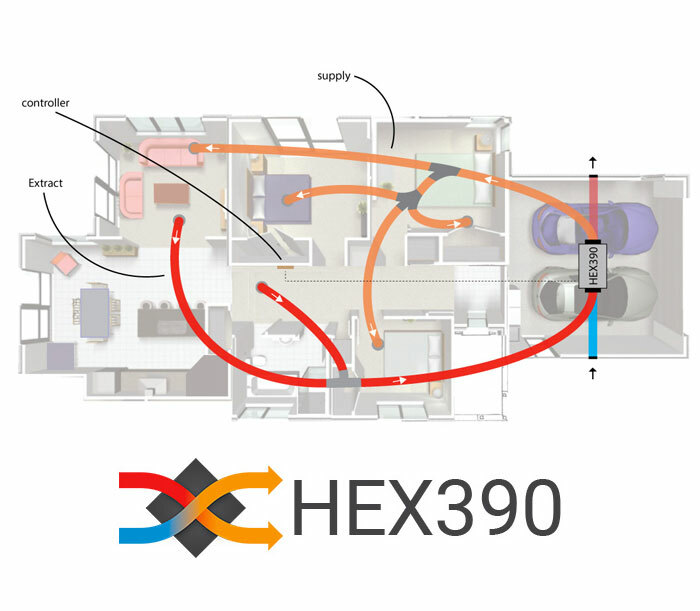 This means that up to 80% of the energy which would be wasted using a traditional positive pressure system is recovered by the HEX390, resulting in significant energy savings and therefore cost savings. Until recently, balanced pressure ventilation systems have been considerably more expensive than traditional positive pressure systems. The HEX390 balanced pressure system can be installed for a similar price as a traditional positive pressure system. Under clause G4 of the New Zealand Building Code, one HEX390 unit could ventilate a standard 2.4m ceiling height house of up to 450sqm. However, we recommend one HEX390 per 250sqm for optimum operation. HEX390 Made in New Zealand for New Zealand conditions! Please contact us if you have any questions or if your contact information on our site needs to be updated.